’Tis the season for our compendium of the happenings in the local beer world in MMXVI [click here for the 2015 roundup]. We dialed it back a bit at the B&C desk this year, embracing the “less is more” dictum [and devoting many hours to researching our oral history of the Genesee Brewing Company]. But we still kept a fermenter-full of beer news comin’ at ya: the statbot at WordPress says that we filed 114 posts, [we did 251 — 251! — in ’15] and welcomed 26K visitors from 103 countries. The most-read pieces were “Beervana Fest ’16: The beer list,” “BIG news from Proclamation Ale Company!!! 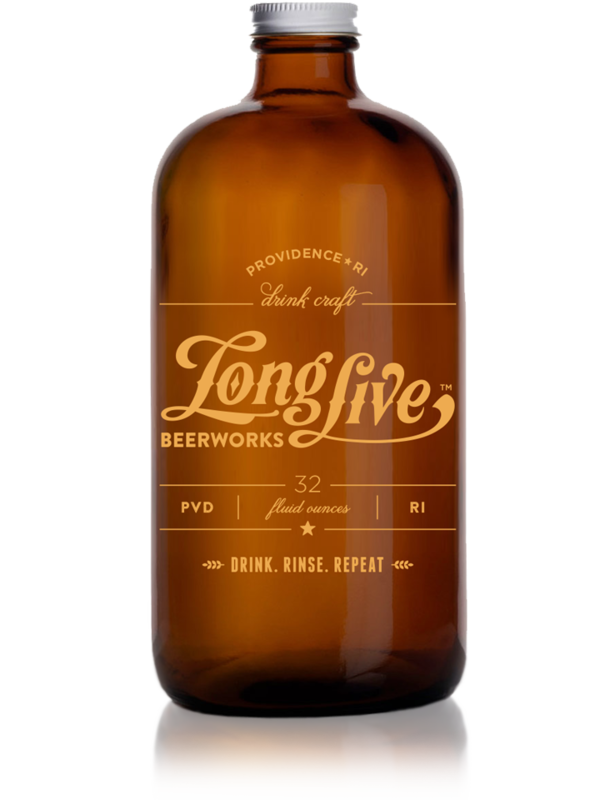 !,” and “Long Live Beerworks opens on Saturday”; and we’re glad to note that our change-inspiring 2015 epic, “Growlers and beyond: raising the beer bar in Rhode Island,” was No. 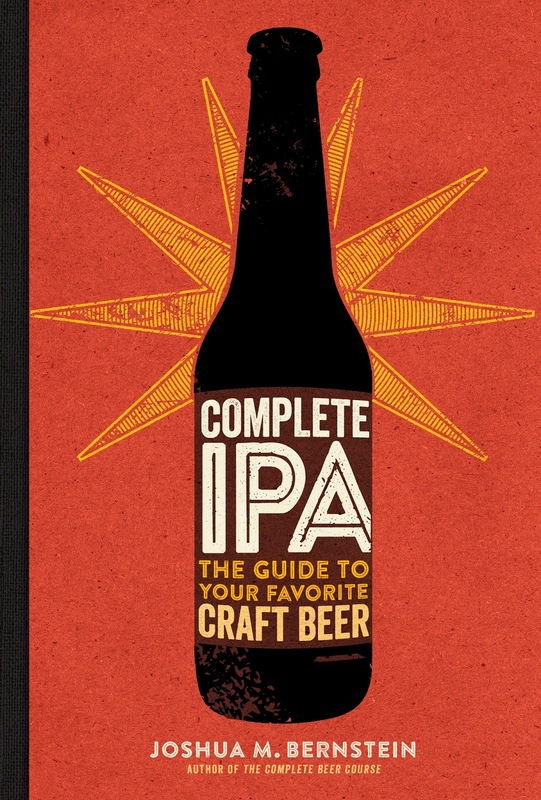 5 on the year-end list [drawing new eyeballs whilst the better beer laws became a reality]. Look for four-packs of 16-ounce cans at your favorite beer store real soon [some of ’em have it now!]! In our column in the new issue of Motif, we uncork a barrage of beer news from Revival, Crooked Current, Ravenous, Long Live, Bucket, Newport Storm, and more! Click here for the html version and/or click here and flip to page 6 for the Virtual Newspaper Experience. Cheers! And tonight — Monday, December 19 — is the night for the annual winter solstice bash at Julians [318 Broadway, Providence] — The Longest Night Party and Coat Drive. Quoth the Juliansers: “Help us say Happy Holidays and say thank you to the greatest customers and community in all of Rhode Island. A winter coat or five cans of food going to Federal Hill House gets you in the door to enjoy a free buffet and live music. We will be tapping some rare and special holiday beers and a few special vintages from our cellar, and maybe a couple of special bottles too!” Last year, the donations filled an entire cargo van front-to-back/floor-to-ceiling! Here’s the beer list: 2010 Smuttynose Really Old Brown Dog; 2014 BBC Holidale; 2013 Harpoon Triticus; 2014 Affligem Noel; 2014 Scaldis Noel; 2015 De Dolle Stille Nacht; 2013 Trappiste Gregorious; 2015 Alvinne Melchior Calvados; 2014 Goose Island Bourbon County; Delirium Noel; Sierra Nevada Celebration; and more to come. Great beers, great food, great music — by the ’Mericans and Little Tomb — great cause, great Scott!!! The fun runs from 6-to 10 pm. Go make merry! A local legend on the Rhode Island beer scene is at the end of his long and illustrious career. On Friday [12.16] — 37 years after his first day on the job [12.10.79] — Chuck Borkoski will be retiring from McLaughlin & Moran, the Cranston-based wholesaler which has distributed Anheuser-Busch brews since 1945 [he’s the VP of marketing and portfolio development]. Chuck is one of the genuinely nice guys in the biz; he has generously shared his insights and info with us during our five years on the beer beat [heartfelt thanks, sir]. And he did so once again, when we asked a few questions about his life and times in the beer trade. Cheers, Chuck! How did you get started in the beer industry? My first beer job actually was as a Narragansett/Falstaff campus rep at Providence College in the fall of 1970. I was also the co-manager of the 21 Club, the on-campus bar, and in that role I had access to dispensing pumps and other paraphernalia. It also didn’t hurt that I was involved in lots of activities and had a pretty robust network of friends on campus. That experience morphed into doing some more elaborate promotions for the brewery during the academic year and then a summer job in 1971 driving the ’Gansett Brew Bus all over New England promoting something revolutionary at the time — aluminum can recycling. About a week before I was slated to leave for a full-time job of selling life insurance, the brewery’s GM, Barry Sullivan, informed me that there was a good chance he was going to be able to hire me at the first of the year to join the brewery’s sales and marketing department as a field representative. So I opted out of the insurance job and stayed on for the next four months, keeping the bus visible at Patriots games, The Big E in Springfield, and other events. In November I got word that the new position had been approved and effective January 1, 1972, my “career in beer” became very real. Working the Boston market, I had to learn about some of the brands that Narragansett had acquired from that part of the world, like Pickwick Ale and Boston Stock and Boston Light Ales. I began to acquire a taste for these more bitter brews (aromatic hops were nowhere near as prevalent then as they are now). I also started enjoying Narragansett Porter, which was only available on draught and in returnable bottles. I did comment one Friday afternoon while drinking Narragansett Porter in the executive tap room at the brewery that I thought it would be a great idea to package it in non-returnable bottles. My stellar idea was immediately beaten back by my elders around the table as being a crazy idea because consumers at the time really only wanted lager beers. Suffice it to say that they were correct at the time and maybe, just maybe, I was a bit of a visionary. It was shortly after that when Falstaff acquired P. Ballantine & Sons of Newark, N.J. and were charged with now selling their portfolio which included something very different, Ballantine India Pale Ale. And yes, I did enjoy drinking this very different brew. When did Elevated Spirits get established at McLaughlin & Moran? In January of 2007, Paul and Terry Moran opted to diversify our portfolio by first getting into the spirits business and then we immediately stated to add some craft beers. I was part of a three-person committee initially that evaluated the new products as they came to us. The one craft beer line that we started selling in 2007 which we still have in the portfolio was from the Clipper City Brewery [now known as Heavy Seas] in Baltimore. Its flagship product was an IPA called Loose Cannon and it was represented by a local broker, Tim Coleman. Taking this product to retail served as a great learning experience for our team in how to position, market and sell a craft beer. The rifle shot approach that Tim fostered with us was eye-opening and extremely effective. In October of 2007, the Morans asked me to take on a leadership role in this new and exciting foray and start knocking on doors of suppliers (both beers and spirits) rather than waiting for them to come to us, an approach that made sense initially because we had a lot to learn about hand-selling. Since that time there have been numerous letters, e-mails, brewery visits, trade show and convention attendance and popping into promotions and samplings in other markets to gain the attention of targeted suppliers. It was really a matter of living the life of a missionary with the “religion” I was promoting being that of putting a portfolio in the care of McLaughlin & Moran/Elevated Spirits. Once we had enough critical mass in terms of diversified offerings of products, it made sense to us to split off the newer products from our long-time supplier to showcase all of the great new products we had attracted to the market. The name came about via an in-house contest that Terry Moran enacted after being less than satisfied with the division names provided to us by a marketing firm. Elevated Spirits was entered by a college student working for us during the summer and his semester abroad was a little more pleasant when he received his winnings in the mail. I know it’s a picking-your-favorite child question, but is there a craft brand that you were most proud of bringing into the state? Wow, there are so many brands that I am proud about attracting for various reasons. Wachusett was the first significant regional brand to sign on with us and gave us a good amount of critical mass at the time. In 2011, I met with Alan and Jen Brinton from Grey Sail and within the confines of that meeting I felt that they were going to be successful despite not having a beer for me to try, and they were so happy with what they heard from me that they opted to not meet with any other distributors in Rhode Island. I think that this all worked out pretty well for both Grey Sail and Elevated Spirits. Attracting Founders was a coup for us as it was an emerging national craft that had as part of its portfolio one of the darlings of the industry, KBS. Goose Island came with us right about the same time and we had the great pleasure of selling Bourbon County Brand Stout in November and KBS in April. I could go down our entire list of brands and find something significant to share as why I felt good about adding them to our offerings. What is your perspective on the growth of craft beer in the state, and the recent surge of Rhode Island breweries? Local is the big story in craft beer everywhere. We are extremely fortunate to have two great Rhode Island breweries to bring to market, Grey Sail and Revival. They are very complimentary product lines. We are seeing so many great breweries open up here in our little state and our tourist industry is helping to get them discovered. The real heroes are the brewers who are busting their collective asses to make sure that Rhode Island’s breweries are putting out beers that are respected on the national platform. Can you look into the beer-filled crystal ball and muse on the future of the market? Shelf space and tap handles are already maxed out. How much bigger can craft get? The what’s-new syndrome in craft is going to bring about more innovative beers and beer variants. As you point out, shelf space and taps are at a finite level, so we are going to see breweries replacing tired and less appreciated beers from their portfolios and replacing them with more New England-style IPAs and session beers. I also think that the pendulum will eventually swing back to some degree to more malt-forward beers over time. The breweries that invest in better equipment and pay more attention to quality control with sophisticated lab equipment and microbiologists are the ones that will flourish. None of us want to read about major product recalls for the sake of the category or the fiscal health of the affected breweries. As I close out this chapter of my life, I do want to say that the last nine years of my nearly 46-year career have been absolutely awesome. Drinking some world-class beers from coast to coast has been a privilege. More importantly, the friendships and relationships I have forged as a result are cherished. I have met so many amazing people…brewery owners, sales reps, brewers, distributor personnel, retailers, waitstaff and clerks, ardent and passionate consumers and, of course, the beer writers I have gotten to know. Let me say that you will all be missed as I migrate away from my current duties. I sincerely hope that our paths will continue to cross as we all age well, like some of the cellarable vintage beers we enjoy. Cheers! 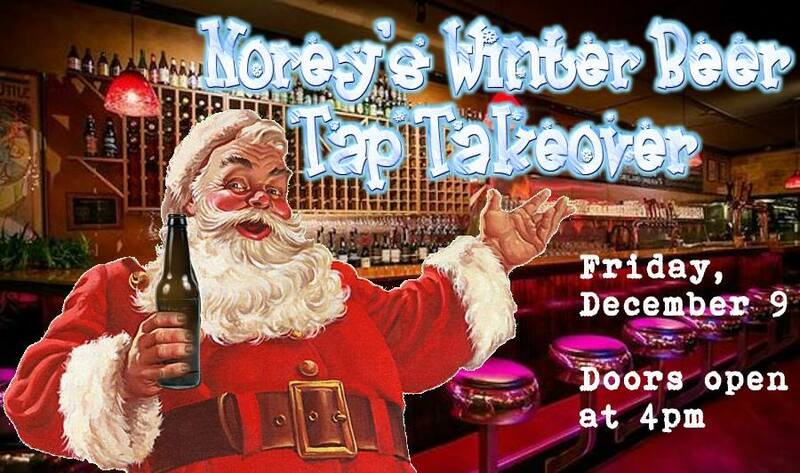 • Norey’s [156 Broadway, Newport] is ho-ho-hosting a Winter Beer Tap Takeover. The seasonal treats, including many rare imports, will start pouring on Friday [12.9] at 4 pm and be available until the kegs are kicked. The list: HaandBryggeriet Bestefar [Norway]; Delirium Noël [Belgium]; De Dolle Stille Nacht [Belgium]; The Bruery’s 7 Swans-a-Swimming [California]; Mikkeller’s Santa’s Little Helper and Hoppy Lovin’ Christmas [Denmark]; Birrificio Le Baladin’s Noël [Italy]; To Øl’s Barrel-Aged Snowball Saison [Denmark]; and Brasserie Dubuisson’s Scaldis Noel [Belgium]. 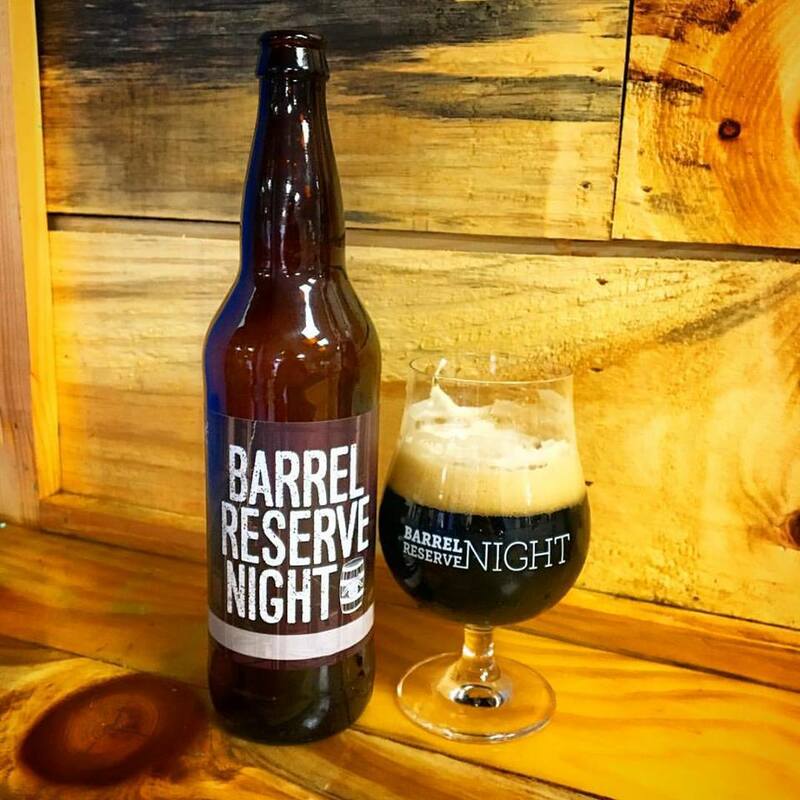 • Foolproof’s Barrel Reserve Night is on Saturday [12.10] from 7-10 pm at their Pawtucket HQ [241 Grotto Ave]. Quoth the Foolproofers: “The event features rare barrel-aged beer offerings, a selection of local food artisans, an exclusive Barrel Reserve Night glass, and more! Join Delsie Catering & Events, Sons of Liberty Spirits Co, Walrus & Carpenter Oysters, and d’Licious Desserts for an amazing night of food, beer, and celebration. Sunday [12.10] is National Lager Day. As is the case with many beer “holidays,” no one seems to know the origin of the stylistic celebration; the earliest mention found online is from 2006. But we’ll play along! “Lager” is from the German word for storage [and means place to sleep or camp in Swedish]. In the beer world, it refers to an extended gestation: lagers are usually aged for four to eight weeks at cool temperatures; ales are ready to move on after one to three weeks in warmer settings. The other lager/ale distinction is in the yeast: ales use top-fermenting types [Saccharomyces cerevisiae] whose esters often impart more distinctive flavors; lagers are made with bottom-fermenting yeast [Saccharomyces uvarum] and leave the flavoring to the malt and hops. Some generalities: most lagers have an ABV between 4 and 6 percent; most are yellow/golden, but there are some dark variations. And lagers are the most popular style all over the globe; in the US, three-quarters of the [mostly-light/lite] brews sold are by MillerCoors and Anheuser-Busch InBev. 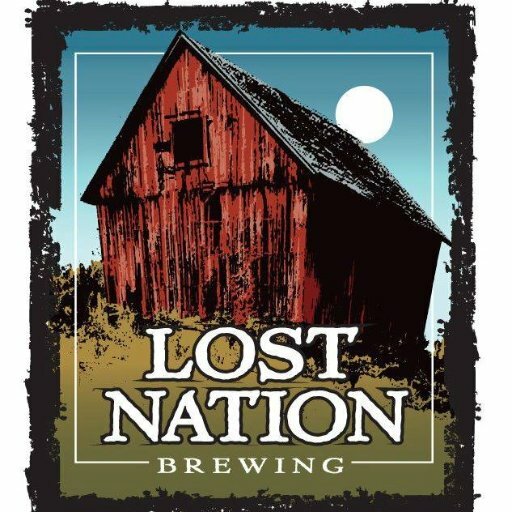 There are quite a few craft options for National Lager Day: all of the luscious lagers from Jack’s Abby’s, the flagship beers from Brooklyn Brewery and Sam Adams, plus Victory’s Prima Pils, Southern Tier’s Krampus, Oskar Blues’ Mama’s Little Yella Pils, Uinta’s Baba Black Lager, and many more. And you should get your “Hi-Neighbor!” on and hoist a Narragansett Lager [or two]. To celebrate NLD and share the spirit of the season, they’re running a fundraiser for Toys For Tots. Take a picture of your ’Gansett, tag it with #LagerDay, post it on each and every social media outlet that you are glued to each and every waking minute, and the ’Gansetteers will donate $1 to the charity. Tell your friends and neighbors! And set a digi-reminder for Monday, December 19 for the annual winter solstice bash at Julians [318 Broadway, Providence] — The Longest Night Party and Coat Drive. Quoth the Juliansers: “Help us say Happy Holidays and say thank you to the greatest customers and community in all of Rhode Island. 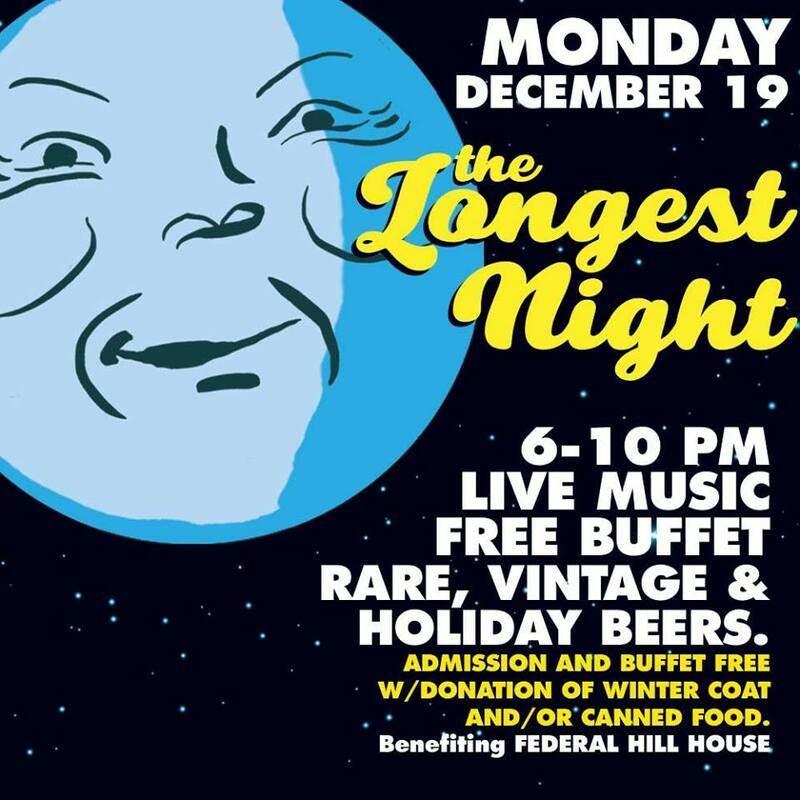 A winter coat or five cans of food going to Federal Hill House gets you in the door to enjoy a free buffet and live music. We will be tapping some rare and special holiday beers and a few special vintages from our cellar, and maybe a couple of special bottles too!” Last year, the donations filled an entire cargo van front-to-back/floor-to-ceiling! Here’s the beer list [so far]: 2010 Smuttynose Really Old Brown Dog; 2014 BBC Holidale; 2013 Harpoon Triticus; 2014 Affligem Noel; 2014 Scaldis Noel; 2015 De Dolle Stille Nacht; 2013 Trappiste Gregorious; 2015 Alvinne Melchior Calvados; 2014 Goose Island Bourbon County; Delirium Noel; Sierra Nevada Celebration; and more to come. Great beers, great food, great cause, great Scott!!! The fun runs from 6-to 10 pm. The Lovecraft-themed beers, made in collaboration with Revival brewmaster Sean Larkin, debuted on January 19, 2015 [Edgar Allan Poe’s birthday] with Honey Ale; Innsmouth Olde Ale emerged in April, followed by Reanimator Helles Lager, a revival/variation on ’Gansett’s retired Bock, in September. I Am Providence, an imperial red ale, was slated to close the series when it was released in February 2016. But a few weeks later, the ’Gansett folks announced that there are more Lovecrafts on the drawing board: “We’re having too much fun with it! At the very least we’ll be continuing the series through the year.” The fifth edition of the Lovecraft Series, White Ship, a white IPA [6.8% ABV], was released in July. 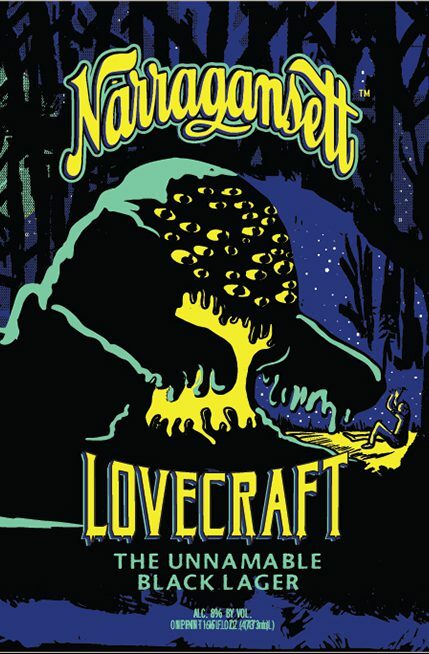 The sixth Lovecraft is coming atcha: The Unnamable Black Lager, which was made in collaboration with Revival brewmaster Sean Larkin. The beer [7.5% ABV] was inspired by the short story “The Unnamable” [written in 1923 and published in the July 1925 issue of Weird Tales], which relates “two men discussing, and later encountering, something horrifying and truly unnamable,” per the the ’Gansettites. As to what’s in the tallboy can [which boasts a striking design by RI artist Jarrett McPhee]: “This black lager is brewed with Chocolate Rye, Cara Red, Carafa Special 1, and pilsner malts for a roasty brew with notes of toffee, caramel, coffee, and dark chocolate. Citra hops gives the brew a slightly juicy finish.” The Unnamable Black Lager is expected to hit the market on January 19 [Edgar Allan Poe’s birthday, in case you skipped the backstory to get to this graf]. Long Live Beerworks has become a standout on the Rhode Island beer scene since the well-attended grand opening on January 9. It’s been a whirlwind year for brewmaster Armando DeDona; during a recent beer-making break, he shared a six-pack of intel about what’s coming up at his West Side HQ. • The second round of Black Cat cans will be released on December 22 [5-9 pm]. Our canning guy has been upgrading his system so after this run we will most likely can every two weeks. • Wesside will be back this week and a new DIPA called The All Seeing Eye will be released the second week of December. • Future Cans: Three Day Weekend, which is a double IPA evolved from a beer we brew occasionally, Lonely Weekend. This will most likely be canned in early- to mid-January. • Early next year (likely around our one-year anniversary), we’ll be doing a limited release of an imperial stout that’s been aging in oak bourbon barrels, called Hurry Sundown. The flavor is rounding nicely, and currently really picks up on the vanilla and oak. • Next in the barrels will be Coarse Grind and we are excited about that. Stay tuned for an update on the the Big Anniversary Bash! The noted sage Archie Bunker said, “Let me tell you something about beer. You can never buy beer, you just rent it.” But one of the best permanent beer-related items you can gift during the festive season are books. The following editions will enhance any beer lover’s enjoyment of their treasured fermented beverages.